A 20 second video of wind and sunlight on Klopp Lake at the marsh. I had to go back to my photos to remind myself what we've been up to for the past few days. The rains returned on Thursday, and we've been spending quiet time indoors reading, cooking, baking, and screaming at the political news. You know, the usual. It was fun to remember that just the other day we saw out first swallowtail butterfly of the season, and it turned out to be an Anise Swallowtail. That was a nice surprise. We always expect it to be a Western Swallowtail. We also liked seeing our first bright red dragonfly. Oh, we do love these dazzling colors of spring. Even the skypool reflections had so much wonderful depth and swirly beauty. The day before the rains came, the sky was as bright as it could be. The wispy cirrus clouds spread so widely across, it made even our suburban street scene look like art to me. I had been looking forward to the full moon rising, but my hopes were almost completely dashed by the storm front. Just as the cloudy sky darkened for night, I peaked out the window looking east and saw this. It didn't last long, just 15 minutes of parted clouds for a glimpse. It was definitely enough to make me happy. we have a ten year old pc that lost its xp operating system some years ago. the recovery discs didn’t work and i have been off-and-on playing with installing downloaded free xp systems. they come with serial numbers, but microsoft requires xp to be activated. i found an activation hack that seemed to work. alas, 30 days after installation xp was usable no more. the only use i wanted for this machine was to stream kpig in the garage when i am working out there. so i turned to fedora (a flavor of linux). after a few wrong turns i had it up and running on the old pc. almost there, but not quite. kpig wants windows media player to work. back to the internet for advice. oh, i can use vlc as a standalone player. now i need to get vlc. off into the weeds of unix commands. a bit like msdos before windows. well, i got it and now the old pc is useful. i can stream kpig. that’s enough of that machine. our main machines that we use a lot are macbook pros, now four years old. out of warranty and applecare. the batteries run low so fast that we keep the computers plugged in all the time. we have been looking at new MacBooks. tres pricey for anything really newer than ours. we could buy exactly the same new machines as we now have for something like $1100 each. wondering about new batteries, i wandered the inter tubes for info. quel surprise! there is quite an aftermarket for upgrades to the model we have. i have lots of experience with pc desktop computers. changing hard drives. changing motherboards. adding modems. changing sound cards. buying parts and building the whole thing. i was wary of opening our nice MacBooks, but after watching videos demonstrating how to install the new components i felt confident i could manage.there is quite an aftermarket for upgrades to the model we have. so i ordered a new battery, 8 gigabytes of memory, and a new solid state drive. a bit over $300 to replace the parts of computers that usually fail after some years. the update kit includes a usb container for hard drives. so the new ssd drive goes in it. it gets plugged into the macbook and carbon copy cloner copies the existing hard drive onto the new solid state drive. You know how much we love going for long walks at the marsh. Its history is pretty interesting, and much has been done to make it both a sanctuary for wildlife and an innovative sewage treatment plant. We've always appreciated Arcata's attempt to balance the effects of the human population and the resources for maintaining a healthy habitat for other species. It always looked good to us out there, and I have photographed its beauty so often. "Chemical leftovers from Humboldt County’s once booming timber industry could create costly delays for two Arcata projects near its marsh and wildlife sanctuary. One project seeks to construct a dog park at the old Little Lake Industries lumber mill site on South I Street. The other would reuse dredged soils from the bay to create a buffer to protect city properties from sea level rise. 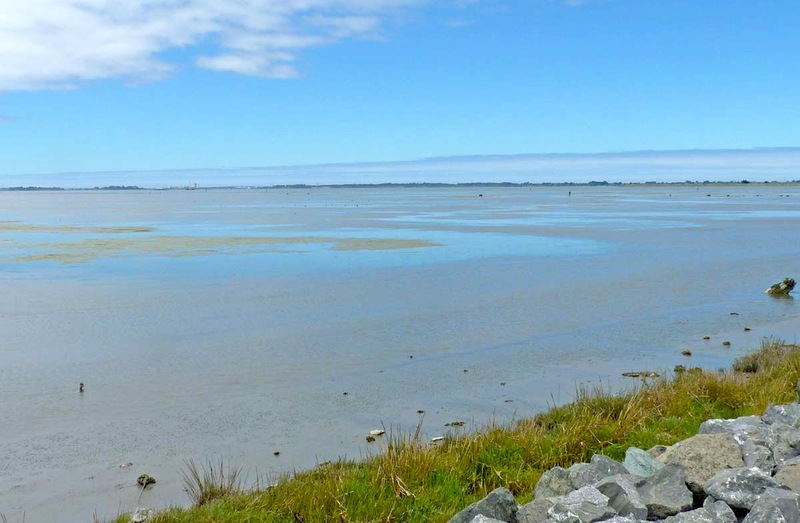 However, recent tests of Humboldt Bay sediment along the marsh found a “hot spot” of harmful compounds known as dioxins, according to Humboldt Baykeeper Director Jennifer Kalt. Dioxins are found in a wood preservative once used by many of the nearly 100 mill sites near Humboldt Bay, which had either spilled or had been dumped into the bay over the decades, Kalt said. The dioxin levels found in the city’s tests in July 2015 were nearly 10 times the concentration deemed safe for exposure. Due to the historic lumber mill activity along the bay, Arcata Environmental Services Director Mark Andre said it’s too early to determine the source of the dioxins. The city has hired an environmental consulting agency to find the sources and assess their impacts before proceeding with any of the projects, Andre said. So, when we look out at this beautiful view, the mudflats of the bay, we now know that what we may be looking at is highly toxic, environmental persistent organic pollutants. We still love it out there, even though looks can be deceiving. Sure hope the wildlife can manage these dioxins. We've had days and days of blue skies and sunshine. On Wednesday, we broke temperature records with a high of 78 (25 C). But then we heard the news; we saw the headlines; we checked the weather sites online. All the weather reports promised a big change on Friday, and we'll be back to gray skies and the promise of rain for a week. So, on Thursday we did what we thought was best under these dire circumstances and took a ride to the Pacific Ocean to wave hello to the waves. We arrived at the Humboldt Coastal Nature Center, where we had visited last November, expecting to take the walk through the dunes as we had done then. But a sign said that the trail had been flooded and that we had to take a detour. The detour wasn't as much fun as the trail; it had a lot of uphill sand dune climbing. I almost wanted to turn back, but we trudged on. We decided that a walk though sand counts as double in distance, so we took it as a good work out. Once we got to the beach we were reminded why we had come this way. It's always such a sight to see the Pacific stretching out for miles like this. On this little journey we saw only two other people and one dog. It's quiet out there, except for the roar of the surf. It's a little like the planet's own heartbeat. We walked a bit and noticed that the beach was clean. Really clean. We had been seeing photos and reading articles about the plastic detritus everywhere in the oceans and on the beaches, but we only saw one sign of human garbage, and that was a piece of rope. Instead we saw this one and only shorebird, which we have tentatively identified as a Sanderling.The Cornell Lab of Ornithology says of these beauties, "These extreme long-distance migrants breed only on High Arctic tundra, but during the winter they live on most of the sandy beaches of the world." We decided on the walk back to the Nature Center that we'd go the flooded way. It wasn't as bad as we had feared, and interestingly we ran into two other people who were headed to the beach on that trail. It made the walk back so much easier. And we got to see this smallest, tiniest, little blue butterfly we had ever seen. No bigger than a half inch. By 3:00 on Thursday the skies were already starting to cloud up as the promised change in the weather headed our way. I'm hoping for some rainbows and atmospheric optics in the coming days, making the best of a dire situation. We've been home for five days. The skies have been clear. I think I'll type that again: The skies have been clear. The blue seeps into everything. Happy April!